At this point, I think the Millennial generation has been discussed, dissected, derided, decried, and even deified in every conceivable context and corner of our industry. At this point, I think the Millennial generation has been discussed, dissected, derided, decried, and even deified in every conceivable context and corner of our industry. I have read, listened, and reflected on much of it — from thought leadership to white papers to academic studies, all focused on those born after 1982 — and I can't help but feel that the majority of the conversation is not addressing a problem, but in fact mirroring it. While perspectives and recommendations change and vary greatly, there is one consistent thematic thread that ties many of them together: The Millennials as Other. It is a depiction of a capricious generation of white whales to be pursued at great risk and peril. A contradictory and inexplicable force of nature, changing our world in ways we don't fully understand and can't quite predict. A tribe of petulant, sheltered, socially schizophrenic digital natives that must be anthropologically studied and imperialistically conquered for their vast natural resources of tweets, status updates, and text messages. In short, a resource that must be harnessed and burned like a fossil fuel to keep our industry powered and our clients profitable. Millennial is more mindset than monolith, but the word is most often used as shorthand for what is at best a caricature. There is an air of desperation in our industry that is manifested when the subject of Millennials is broached. It is a sense of panic that didn't begin, but most clearly intensified, in 2008. That year, as the global financial crisis spun disastrously beyond control, Facebook rocketed past MySpace, and the iPhone — launched in June of 2007 — radically redefined the reach, power, and possibilities of mobile technology. Suddenly, we were all living in and scrambling to keep pace with an extremely changed world. Particularly for communications professionals, it was clear that many of the rules, business models, and best practices we had always taken and protected as givens were now anachronistic and ineffective — and the shift had taken place during a protracted economic downturn that pushed clients to demand real business results with less expense than ever before. But the mistake that many people in our industry made — and continue to make five years later — is to paradoxically anoint Millennials as both the harbingers of this tremendous change and the solution to it. Many still seem to think that if we can just solve this riddle of the Millennials, everything will go back to normal. We will be able to neatly dovetail these few additional twists into business as usual, tweak the messaging, and breathe a sigh of relief. Trust me: Nothing will ever be the same. We will explore what that means, and how brands, agencies, and organizations can more effectively navigate this new reality in Part 2. 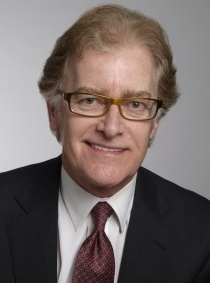 Thomas Harrison is chairman of the Diversified Agency Services unit at Omnicom Group.